The establishment of cooperation between the Faculty of Health (FKes) Dian Nuswantoro University (Udinus) with KNCV Tuberculosis Foundation in fighting tuberculosis (TB) in Semarang is done continuously. Various activities are synergized with the environment to reduce TB patients in Semarang City. 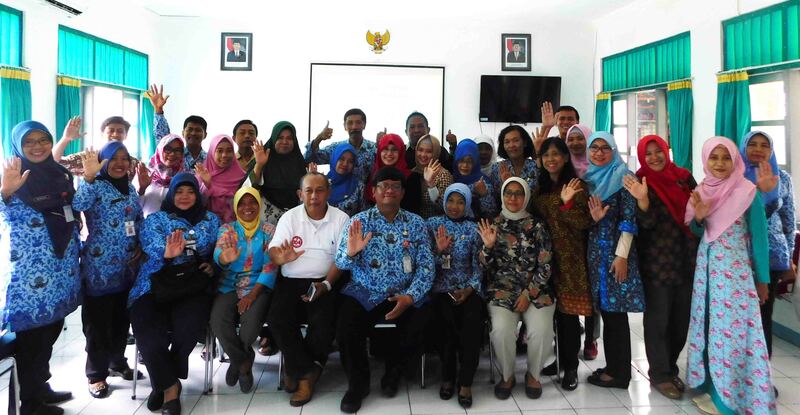 One of the activities was the Meeting of Tuberculosis Control at Community Health Center (puskesmas) level that was conducted by Fkes Udinus, KNCV, and the Department of Health of Semarang City (DKK) in the middle of November. "This activity is to promote the strategy of Public Private Mix (PPM), cross-sectoral cooperation in health sector for both government and private parties. The well-established communication between Fkes Udinus, KNCV, and DKK Semarang is expected to have a positive impact on TB eradication in Semarang, "said Eti Ramawati, SKM, M.Kes as the coordinator of the meeting. Puskesmas in Tlogosari Kulon and Tlogosari Wetan was chosen, because from the data of DKK Semarang, Pedurungan District has the number of independent practice doctors, clinics, pharmacies, and also it has the highest number of TB cases in Semarang City.